Lesley has been in the Financial Services Industry since 1995. Lesley is the Registered Principal for our OSJ (Office of Supervisory Jurisdiction). As the Shore Wealth Management’s Operations and Compliance manager she is constantly working to improve systems and processes that will keep us compliant with industry regulations and lead to a better client experience. "Client service is a top priority at our firm and we strive to exceed the expectations of all of those who entrust us with their financial well-being." 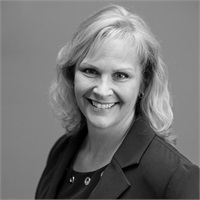 Lesley serves on the Vermilion Healthcare Foundation Board of Directors and the DACC Foundation Board. Lesley holds the Series 7 (Registered Representative), 63 (Uniform Securities Agent State Law), Series 65 (Uniform Investment Advisor Law Examination), 24 (Registered Principal), and Series 51 (Municipal Fund Securities Limited Principal) registrations.